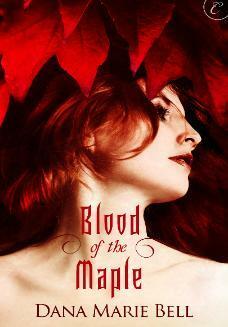 From Goodreads: Three years ago, Sophie Mercer discovered that she was a witch. It’s gotten her into a few scrapes. Her non-gifted mother has been as supportive as possible, consulting Sophie’s estranged father–an elusive European warlock–only when necessary. But when Sophie attracts too much human attention for a prom-night spell gone horribly wrong, it’s her dad who decides her punishment: exile to Hex Hall, an isolated reform school for wayward Prodigium, a.k.a. witches, faeries, and shapeshifters. My Reveries and Ramblings: First of all, let me start off by saying that this book was so much better than I expected. 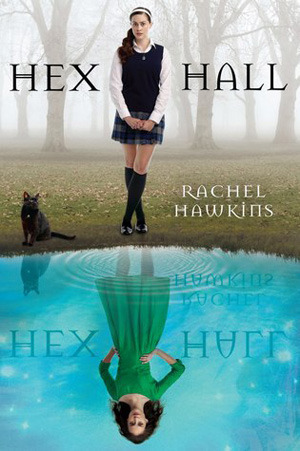 To prove my point, when I was about ¾ through the book I fell asleep (it was 3 AM) and I dreamt about Hex Hall. My dream was exactly like the book except for the location of Hecate Hall. Instead of being in the US, the school was located in Brazil. And of course I was Sophie. Sophie, the daughter of the head of the Council, is sent to Hecate Hall, also known as Hex Hall, for using magic irresponsibly. She hates it. She doesn’t fit in and everyone seems to know more about her than she does. It probably has to do with the fact that she has never actually met her father. The teachers, in an effort to avoid showing favoritism, treat Sophie more harshly then the other students. This means getting thrown into detention three days a week for the whole semester. But its not that bad-she has the super hot Archer to keep her company. When the girls of the coven, the super popular and powerful clique of girls, start getting attacked, everyone starts blaming Jenna, Sophie’s vampire roommate. Throughout the book, Sophie is trying to prove Jenna’s innocence as well as trying to discover who she, herself, is. Hex Hall was very entertaining. It was suspenseful, funny, and enjoyable. Sophie is very go with the flow. Her voice was fun to read. Her opinions were very real. She wasn’t trying to be the teenaged adult. She was a teenager and acted accordingly. Sophie followed her instincts when it came to dangerous situations and didn’t sit there and overestimate her abilities. Ah, Archer. I’m not sure how I feel about him. Those of you who read the book know what I mean. I think he’s hot. His attitude made him even more attractive. There’s just something about him. I never got that “I want him” feeling that I find necessary in the male love interest. Now Cal, I’d much rather he be the love interest in this book. I don’t know why but I really liked Cal. I mean I really liked Cal. He’s got healing hands 😉 Plus, he’s what, 20? 21? His character is obscure which is a bit disappointing. Hopefully he has a larger role in the upcoming books. As I read Hex Hall, I visualized it like a Disney movie. A PG-13 Disney movie. I’m not sure why, but that’s how I saw it unfolding in my head. Don’t get me wrong-it was a great book. Rachel Hawkins did an exceptional job. The writing was easy to read. There was never a moment where I was confused or rereading to see if I missed something.